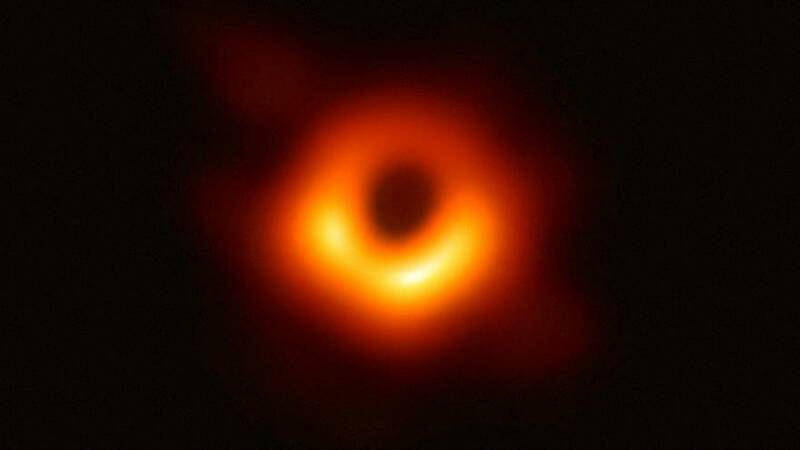 On Wednesday, an international scientific team that integrates the Event Horizon Telescope project (EHT) unveiled the first photo of a black hole, which was captured using a global network of telescopes. The Project researchers obtained the first data in April 2017 with telescopes in the US (Arizona and Hawaii), as well as in Mexico, Chile, Spain and on Antarctica. Since then, telescopes have been added in France and Greenland to the global network. The image reveals the black hole in the centre of Messier 87, a massive galaxy in the nearby cluster of Virgo galaxies. This black hole resides some 54 million light years from Earth. Black holes are difficult to observe despite their great mass. The fact that they do not allow light to escape hinders their visualisation. Scientists look for a ring of light (interrupted matter and radiation that circulates at tremendous speed at the edge of the event horizon) around a region of darkness that represents the real black hole. This is known as the shadow or silhouette of the black hole.